ARIES: This is not your most energized time of the year. You could even be feeling a bit burned out but it is important right now to keep the faith. It will be harder to please others or to meet scheduling demands. Someone (including yourself) can be very unpredictable. Friends and/or children could be featured this month, either for their help or for their adding more stress. “Pride goes before the fall” so be alert as there could be some blows to the ego, yours or someone else’s. TAURUS: Though things feel destined this month, the situations and circumstances will not always work out the way you or others predicted they would. Things may just need to be done in pieces. Serious decisions are featured and some of these involve circumstances that create humiliation such as odd couples or situations where the people involved are so different. One example could be how children are very different than their parents. This month features those things that are necessary evils in life. GEMINI: This month features getting advice from authorities yet staying as “natural” as one can. You might get a diagnosis from a Western medical doctor and then using natural medications before resorting to pharmaceutical ones. Automobiles or any kind of vehicle could also be featured as is the idea of taking chances. It will also be important to be aware and conscious this month as well, particularly in light of taking those chances. Just rewards as well as a strong importance on remembering or memories in general may be prominent in the next thirty days. CANCER: This is your new Moon, Cancer: it will bring a sense of confidence, just be wary that you are not being too aggressive in your attempts to achieve your goals or passions. There are some things that may have to be done over. This will feel self-destructive to you. The fact that things tend to be rather chaotic now does not help. Early mornings are emphasized and could be the way for you to get a jump on things. This is a great time to pay attention to your dreams as you could be getting information you didn’t have previously. LEO: This month will likely highlight situations where the consequences of the actions of others affect other people. There could be a situation in particular where someone, and that could be you, is feeling alone. Money or checks are featured. It could be an opportunity to know the difference between the truth or a lie. Sometimes it will be important to stop something because you don’t have all the answers. It can also come to your attention how being negative or pessimistic can be very self-destructive. VIRGO: This month, when things are unclear, it is important to go off on your own. There could be a need to protect yourself particularly from situations that are likely to be psychologically painful. It will be important to keep good boundaries or even be a bit territorial particularly as it relates to a house or building. Tears are featured this month, either for yourself or for someone close to you, so if things get overwhelming take some time to withdraw. LIBRA: There could be some points this month when you or someone close to you doesn’t feel well and it will be important to withdraw from a situation for a time. There could be a great deal of pressure which causes you or others to feel “Why me God?” Complaints as well as the idea of being hounded no matter how much you or others try to avoid being discovered. There is just so much happening money could be involved. Be wary that you or others are not self-destructive when it comes to finances. 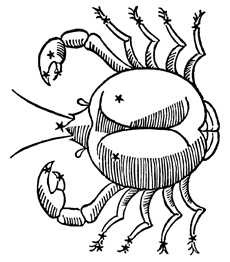 SCORPIO: It seems when something happens it cascades into many more things occurring. This month pay attention to your body image and perhaps even get more of an organized plan regarding the care of your body. Beginnings are featured, so this truly is a great time to start a new regime for your health. Go with your desires to be logical and structured with these new beginnings. Be wary of over-reactions as they tend to cause more complications and intrigues. SAGITTARIUS: Realize that working too much is not good for anyone. It is important to listen to your body particularly when life gets crazy. This includes things like being too busy with work etc. to take proper care of yourself. Be wary of those who act like they know something and it turns out to be just a little too little and a little too late. People (even you!) can feel very restricted, as if they don’t belong, particularly in work environments. This month also emphasizes the idea of being good to those who serve you or work for you. CAPRICORN: Health issues and health-related matters seem to continue to be an Achilles Heel. Situations tend to be on-going without a resolution. People may feel they are held captive. Changes can be difficult and even hard on people right now, no matter how necessary they are. There could also be an attitude of “just do it,” right now. Expenses, score keeping and power plays also come to your attention this month as well as the idea of fairness. Smiles can be ornamental this month, so be wary. AQUARIUS: This is a month where there will be so much going on it will be important to use restraint. Situations will bring great excitement but timing could be difficult. News and information can happen at night or in the evening hours. Someone may be blamed if they are hard to reach or find. Some problems will be resolved regarding finances this month. Projects could involve cleaning or clearing things up and this could require the right tools. The work might feel oppressive but it will be worth it. PISCES: Listen to your gut when it comes to money matters. Things are not very clear and may be disappointing. It will be important to speak out or speak up. This is a time when you really must put yourself first. Not everyone plays by the rules and some people get paid for being different or for being pioneers in their field. You will also be conscious of the interruptions and disruptions that occur this month and the fact that some people disrupt things as a way of drawing attention to themselves. « Pallas: The last of our study of the big four asteroids!